We are proud to announce the following world-leading organisations as sponsors of Aviation Carbon 2017. With over fifteen years of experience and hundreds of private and public sector clients, First Climate is a leading service provider in carbon offsetting and emissions trading. We support our corporate clients in compliance and voluntary carbon markets. Our core competencies cover advisory in compliance strategies and implementation, offset project development, sourcing and trading. Global Environmental Markets (GEM): the world’s leading FinTech & EnviroTech developer has designed a global solution for aviation. GEM has designed and built platforms, registries, Exchanges and interfaces across multiple commodities including, Carbon, Allowances, RECs and Water and most recently a new Stock Exchange. GEM also owns and operates Carbon Trade Exchange (CTX), the first global electronic exchange for the voluntary carbon market. Established in 1998, Vertis Environmental Finance is a top environmental commodities trader, specialising in emissions trading, aviation carbon and energy efficiency. When you deal with Vertis you get an award-winning service* and our commitment to care, clarity and excellence. With offices in Budapest, Madrid, Warsaw, Verona and now Brussels, Vertis helps their partners to have a better understanding of the carbon market and its impact on their business, and empowers businesses to make the transition to a low carbon economy. *Vertis won Point Carbon Best Carbon Broker in 2011, Energy Risk Best Emissions Dealer in 2015 and Energy Risk Best Research in Emissions in 2017.
myclimate is a Swiss based non-profit organization focusing on effective climate protection – both locally and globally. We have been active for 15 years in the field of high-quality carbon offsetting, consultation and education. Our clients include businesses, public administrations, non-profit organisations and private individuals. The aviation sector is a main focus: Several airlines partner with us to offer their clients to offset their emissions in high-quality climate protection projects. Furthermore, we also develop projects for airlines to fulfill their CO2 reduction commitments within CORSIA..
Ecosphere+ protects forests and natural ecosystems around the world, which is one of the most immediate and cost-effective ways to combat climate change. We do this through selling offsets, which allow companies and consumers to rebalance their carbon footprint and contribute to the sustainable development goals. Partnering with E+ not only protects forests, but also causes a chain reaction of other positive impacts, like protecting endangered species, empowering women, and bringing training and new jobs in sustainable agriculture and ecotourism to local communities. We are a global energy business working across the world, from deserts to the deep sea, from rigs to retail stations, we provide fuel and power for heat, light and mobility. 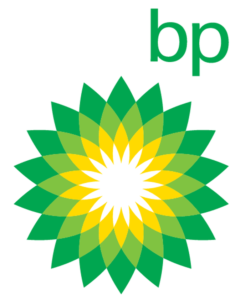 The world is changing fast and BP is changing with it. The mix of energy that provides heat, light and mobility for billions of people is shifting towards lower carbon sources, driven by advances in technology and growing concerns about climate change. We’re determined to play our part in this transition – helping to meet the world’s need for more energy while also reducing carbon emissions. Fulcrum is leading the development of a reliable and efficient process for transforming municipal solid waste – or household garbage – into transportation fuels including jet fuel and diesel. The company’s plants will provide customers with low-cost, low-carbon drop-in fuel that is competitively priced with traditional petroleum fuel. Fulcrum has aligned itself with strategic feedstock, technology and fuel offtake partners to further strengthen and accelerate the company’s innovative approach to commercially producing large volumes of renewable fuel from municipal solid waste. EUROCONTROL is an intergovernmental organisation with 41 Member States and 2 Comprehensive Agreement States. We are committed to building, together with our partners, a Single European Sky that will deliver the air traffic management (ATM) performance required for the twenty-first century and beyond. Over 1,900 highly qualified professionals spread over four European countries work at EUROCONTROL, deploying their expertise to address ATM challenges. EUROCONTROL puts its environmental expertise at the service of its Member States, the European Union, the International Civil Aviation Organisation (ICAO) and the wider aviation community to help measure, monitor and mitigate the impact aviation is having on the environment. This simple idea was to enable airlines to reduce their environmental impact while making considerable savings, every day. Because we take our responsibility seriously toward our customers and our planet, we have developed SkyBreathe®, a fuel saving,and CO2 reducing software. It was a very long time in the making (good things always are), with 6 years of a participation in the European Research Program Clean Sky, and it is now recognized by its customers as the most efficient solution in the market. Many of our employees are aviation enthusiasts and are qualified pilots themselves. Therefore, we have a thorough understanding of the needs of our clients and their business environment!